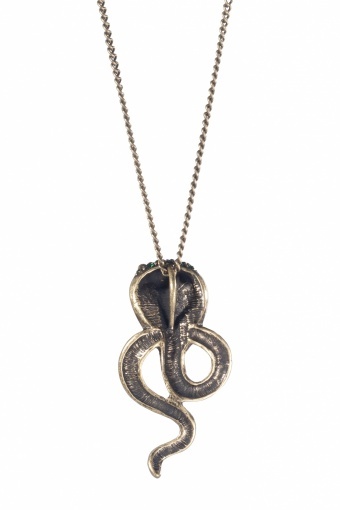 Vintage inspired long Royal King Cobra bronze necklace by From Paris With Love! 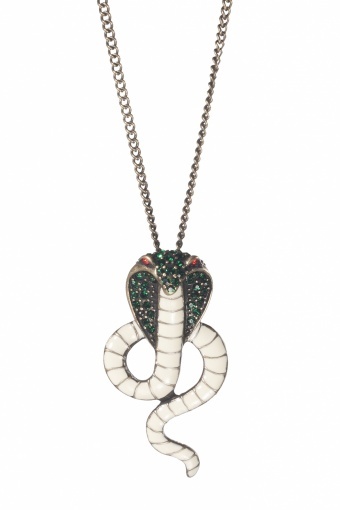 With really awesome cobra pendant! 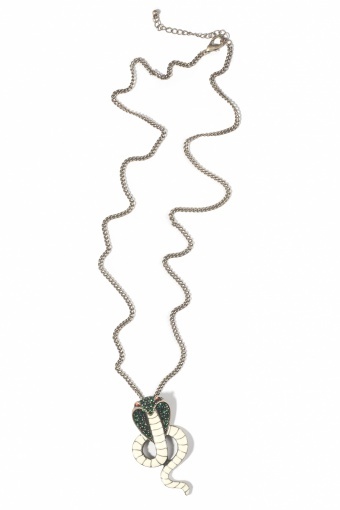 Enameled in a distinguished cream tone. 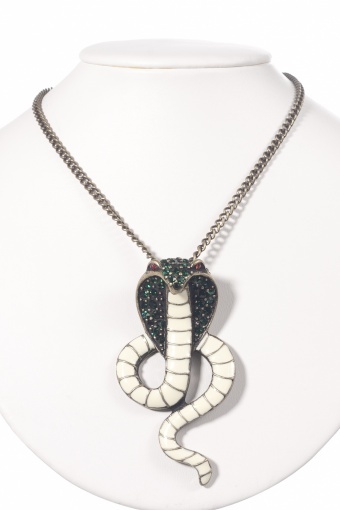 Its head is richly covered with emerald green rhinestones and as a mystic finishing toch two flaming red rhinestones in its eyes. Material: bronze tone nickelfree metal, with lobster closure. Very limited stock!